Flat 2500 off.Flat 2500 off. The phone comes with the powerful Snapdragon 636 soc and it’s a very powerful processor and it shows in the performance of the phone though it just has 3GB of ram. The really good thing which I liked the most about this phone is the massive battery i.e. 5000 mAh battery which gives almost 2 days of on-screen time. Even though the huge battery, the device is still pretty slim and lightweight. Asus Zenfone Max Pro M1 is a great alternative to the Xiaomi&apos;s Redmi Note 5 Pro. The good thing about this device is its massive battery backup which can give you juice for straight 2 days. That&apos;s impressive. Even in terms of performance, the device gives equal competition to Redmi Note 5 Pro. The cameras work well in daylight while the same doesn&apos;t go with lowlight conditions. If you&apos;re looking for the best performance at this price, then this phone is perfect for you. Even though it is quite old it can still handle heavy tasks like a boss. The battery is very good but there is no fast charging feature so that&apos;s a bummer. Also, the phone has pretty decent cameras but don&apos;t expect exceptional cameras. 5 Pricebaba users have written their experience with Asus Zenfone Max Pro M1 64GB. 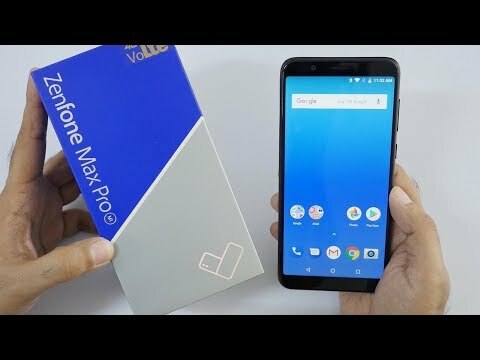 If you own Asus Zenfone Max Pro M1 64GB, please do leave your feedback too. Lowest price of Asus Zenfone Max Pro M1 64GB price in India starts at Rs. 10,499 Asus Zenfone Max Pro M1 64GB is available on Flipkart at Rs. 10,499 and on Amazon at Rs. 10,998. Prices updated on 23rd April 2019. The Zenfone Max Pro M1 has a screen size of 5.99-inch with FHD resolution. It translates to 403 PPI pixel density. For enhanced user experience, a 2.5D curved glass is fitted on the top. The Max Pro M1 sports a metal build. The back of the phone houses a rear camera setup and fingerprint scanner. It ships in two color variants i.e. Titanium Grey, and Black. In the optics department, the Zenfone Max Pro M1 is equipped with a dual rear camera setup comprising of 13+5MP sensors. Upfront there is a 8MP snapper with LED flash for selfies. The device supports 4K video recording option. In terms of hardware, the Max Pro M1 features a Snapdragon 636 processor at 1.8GHz. It packs 4GB RAM along with Adreno 509 GPU onboard. On the storage front, the device offers 64GB internal memory expandable up to 2TB. Coming to the software, the Max Pro M1 runs on Android 8.1 Oreo OS out of the box. Powering the device is a massive 5000 mAh battery unit fitted inside. It has a standard Micro USB port and a 3.5mm headphone jack. Connectivity-wise, it features 4G LTE, 3G, 2G, WiFi, Bluetooth and VoLTE.